Ingval Maxwell’s 48-year professional career in Historic Scotland focussed on the conservation of monuments and historic buildings, and included 15 years as Director of Technical Conservation, Research and Education. He represented the UK in a variety of EC Research Projects, and has acted as a World Heritage Site expert for ICOMOS and UNESCO. He is currently Chairman of the Council on Training in Architectural Conservation (COTAC) and initiated its BIM interest in 2011. On having set up COTAC’s ‘BIM4Conservation’ Group, and authored a number of HBIM related reports, the BIM4C Group amalgamated with the ‘BIM4Heritage’ Group in July 2016. A 40+ year career as an Chartered Architectural Technologist in both practice and manufacturing, now running his own small Architectural practice, and lecturing and Birmingham City University on their BSc (Hons) course. Representing CIAT on various committes and technical panels. Edonis is a highly experienced Architect with BIM and project management experience, with a deep understanding of integrated design approaches to the delivery of buildings with improved financial, environmental and social performance throughout their whole lifecycle. Edonis has been previously involved in a number of projects most notably the HM Government BIM implementation, the Ministry of Justice BIM Implementation and the 2012 Olympics Athlete’s Village. In the past, Edonis was a member of the Ministry of Justice special interest group focused on the application of BIM for Asset Management (BIM2AIM) and a member of the steering group developing the British Standard for Construction Operations Building Information Exchange (BS1192-4). Edonis is currently concluding her studies for an MSc in BIM and Integrated Design, focusing on processes to efficient multidisciplinary collaboration through design and construction to enable the delivery of integrated design with the support of BIM technologies. Currently teaching BIM at the University of East London to Surveyors, Engineers and Construction Managers, having evolved from 30 years of using and teaching AutoCAD. Previously worked as a Surveyor, which included 3D CAD modelling of listed buildings. Ten years ago, I helped set up and run the Foundation Degree in Historic Building Conservation, now at Building Crafts College, where I am still involved by teaching them BIM. I also currently have a research student looking at devising ‘cheaper’ methods of surveying for BIM of existing residential buildings and looking at developing our findings into conservation projects. “Paul heads up the York-based Geospatial Imaging team that takes the corporate lead on applying modern image and laser based survey approaches across heritage. 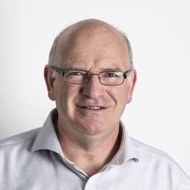 Awarded Fellowship of the RICS in 2013 he has extensive knowledge of image based survey including photogrammetry, laser scanning, low-level aerial imaging using drones and, since 2009, Building Information Modelling (BIM). He is co-author of the 'Metric Survey Specifications for Cultural Heritage', the standard specification that English Heritage and Historic England have successfully used to procure metric survey for the last fifteen years. 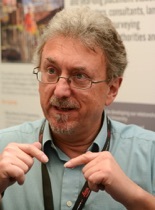 He is UK representative for CIPA (The International Scientific Committee for Documentation of Cultural Heritage) and was previously co-chair of the 'Cultural heritage data acquisition and processing' WGV/2 working group within ISPRS (International Society for Photogrammetry and Remote Sensing) Technical Commission V”. 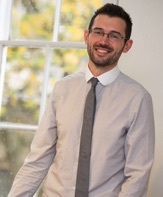 Andrew Dobson is an Associate at Purcell, the country’s largest Architectural practice specialising in historic buildings. Andrew’s expertise is integrating BIM with 70 years’ of expertise in caring for Historic Buildings held across Purcell, and in delivering major Architectural projects. Andrew’s approach integrates BIM into each stage of looking after historic buildings. This begins with historical research: development of conservation management plans and identification of development phases and significance. The approach continues through design and construction and extends through long term care and maintenance, and programmes of work that may extend over many years. Andrew works on diverse projects across the practice, with particular experience in the Public and Cultural sectors from the Palace of Westminster to the Former Central Police Station and Prison in Hong Kong, pushing the boundaries of BIM along the way. He enjoys the challenge of applying the latest technology across his work to ensure that historic fabric is best maintained, repaired and cared for now and in the future, and is motivated by the satisfaction that innovative ways of working can make client’s budgets go further and better safeguard the historic environment. Carl has over 30 years’ experience in the assessment and analysis of Civil, Building and Industrial structures and leads Ramboll’s Engineering Simulation Team based in Southampton. He is expert in performance based design with considerable experience in structural appraisal and testing, assessment of historic structures, dynamic analysis (vibration, earthquake, collision, blast), and is responsible for studies requiring the use of computational fluid dynamics. He is actively involved in research and development projects including; application of BIM in a heritage context; laser aided modelling (LAM®); masonry serviceability. Earlier work on arch bridges earned his team a Queen's Award for Enterprise and Innovation. 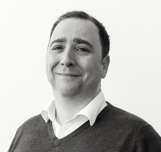 Andrew Handley is practice wide Digital Design Manager for Purcell, the country’s largest Architectural practice specialising in historic buildings. Although Andrew is a qualified architect, he would describe himself as a ‘reconfigured architect’, having spent his career focusing on the technical and cultural application of digital and computational design within architecture and the built environment. Andrew's role within Purcell is to lead the use, development and innovation of digital design, especially with the current industry focus on Building Information Management (BIM) and the journey towards, ‘Digital Built Britain’. Vajira Premadasa is an architect in the Conservation Directorate at Historic Environment Scotland. He has a keen and long-standing interest in the application of BIM and other digital technologies to support the management of the historic built environment. His 20 years of experience has focused on projects involving the conservation and refurbishment of significant historic buildings, both in the private and public sectors. He has recently played key roles in project teams delivering high-profile capital projects at Edinburgh Castle and Stirling Palace. Vajira is currently responsible for integrating BIM as a key component in Historic Environment Scotland’s evolving digital asset and project information management processes. As part of this, he is leading on a pilot project which aims to investigate the implementation of BIM across a representative section of Historic Environment Scotland’s 335 properties in order to inform an overall organisational BIM strategy. 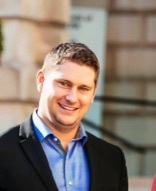 He has a PhD for research in the application of digital technologies in built heritage and is an active member of a several BIM groups and committees..
Kyle Peters is a Senior Project Manager and Client Representative for the Royal Academy of Arts specialising in main gallery/plant refurbishment and CAPEX projects. He has a comprehensive Architecture and Architectural Technology background having worked within architectural practices and managing client focussed projects. Kyle is particularly interested in how technology can improve collaborative working and efficiency over the lifetime of a project – this includes BIM methods that can help reduce risk which can impact the site or project. This method in turn provides greater opportunity for successful delivery. Kyle has been working on multiple projects consistently improving the Royal Academy of Arts BIM requirements and deliverables. This has been with the objective of utilising the advantages of BIM from the design phases through to construction and ultimately site facilities management. Steve Watson is Head of Engineering at the Royal Academy of Arts. He is passionate about Smart Buildings and digital technology that removes wasteful efforts, delivers efficient projects and sustainable operational benefits to organisations. He has worked in a variety of industries including major construction, corporate petrochemical and the Arts in both Australia and the UK. For the last 8 years, his focus has been on Heritage buildings in the Arts sector in London. He is engaged in projects that are delivering long term benefits using BIM, and control system analytics. In his spare time Steve is always grateful to take any opportunity to go cycling, surfing or to visit another culture. Joanna has a First Class Honours degree in Building Surveying and a Merit in MSc Conservation of Historic Buildings from Bath University. Throughout her study and early career working for the family stonemasonry business, she gained a passion for historic buildings and began to pursue a career in Heritage. After gaining a position as a Site Surveying Assistant for English Heritage, Joanna swiftly developed a successful career carrying out roles in Facilities and Asset Management and, Conservation Maintenance Project Management. 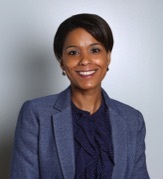 She has extensive knowledge of heritage asset management and digital data processes and systems. 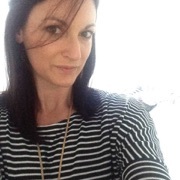 In 2016 Joanna was offered the opportunity to undertake a collaborative doctoral award with Historic England and the University of Reading, funded by the Arts and Humanities Research Council. Her research area draws upon her experience of Heritage Asset Management and will investigate new ways of digital data management for the historic built environment, in particular, Heritage BIM. Joanna joined the BIM4Heritage committee in 2016 in order to share her research experience and gain invaluable knowledge from the members of this interest group. In 2017 Joanna took the step to set up her own heritage management and surveying consultancy, to sit alongside her PhD research, after winning her first contract with the UK Antarctic Heritage Trust as their consultant Heritage Project Manager. The trust are keen to develop Heritage BIM processes for the management of their sites and Joanna is looking forward to developing these.